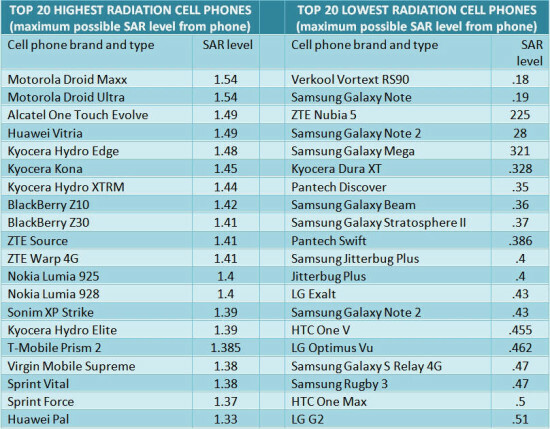 Top 20 Cell Phones With The Highest And Lowest Radiation! Communication between people is very important. In the past people sent messages using letters and post offices, then they used phone as a way of communication, but today people around the world communicate using cell or mobile phones. Using cell phones offers many opportunities: they are cheap, easy to use and you can communicate with the furthest person on the other side of the world without any problems. But, let’s stop for a moment. Are the cell phones safe or they can harm us? According to some researches, these fun cell phones expose us to a very harmful level of electromagnetic radiation.